Interesting movie. Stars Tom Cruise and a ton of b-list movie stars. Very esoteric, abstract and artistic*. * = sometimes a polite word used in place of bizarre. But that’s not why I titled this post as such. We live in a townhouse in Vancouver – differing from an apartment in that we have a front entrance and what could be considered a generous ‘yard’ comprised of a patio, flowerbed and other garden space. My wife has done her best to monopolize all of it with plant matter leaving precious little square footage for people to enjoy, but to me her affinity for gardening is one of the things that makes her so cute. I don’t mind toiling in the garden from time to time. Usually my lack of patience requires more stimulating activities. But every so often I find solace and peace in gardening, seeing interesting and beautiful plants growing in pots and beds. I’ve grown particularly fond of a certain type of magnolia tree recently – the Royal Star. As spring sprung over the past two months, the neighbourhood magnolias have been out and I’ve noticed this particular species here and there. 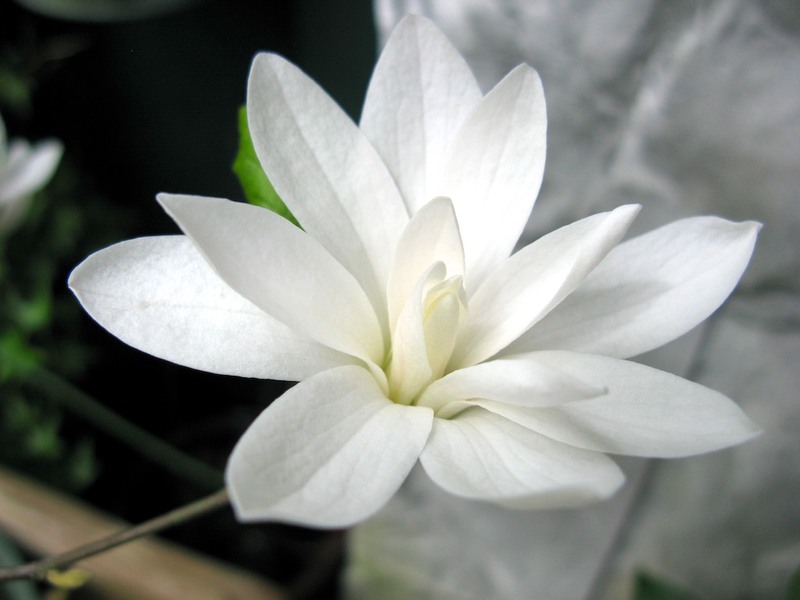 It has pretty, white, aromatic flowers that, as they bloom, develop finger-like dexterity with their petals. The flowers only last a couple of weeks, followed by what could be described as normal, everyday leaves. Pushing the limits, perhaps, of what a tree is capable of (not to mention our yard), we found a 12″ potted Royal Star magnolia at our favourite garden store a couple of weeks ago on sale for the ridiculous price of $25 and bought it for our little garden. Soon after we found a nice, large porcelain pot for it and it now resides in the sunniest corner of our yard. The flowers are long gone, but I’m already looking forward to them again next year. Time to read up and make sure I take care of it, since potted trees require a bit more care.